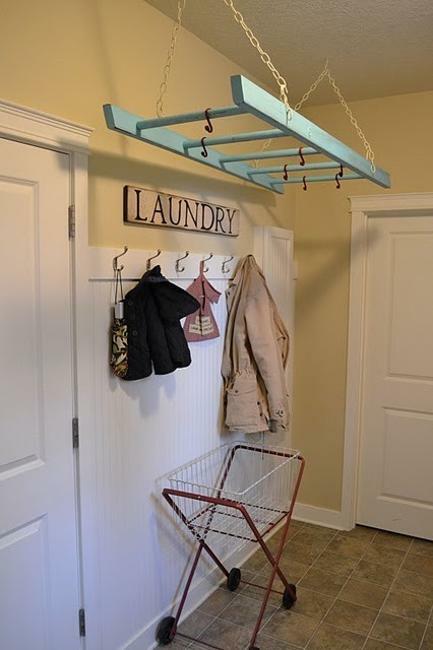 If you do laundry in your home, you need to add a nice clothes drying rack to your laundry room design. Dryers are convenient and easy-to-use, but they take lots of electricity. 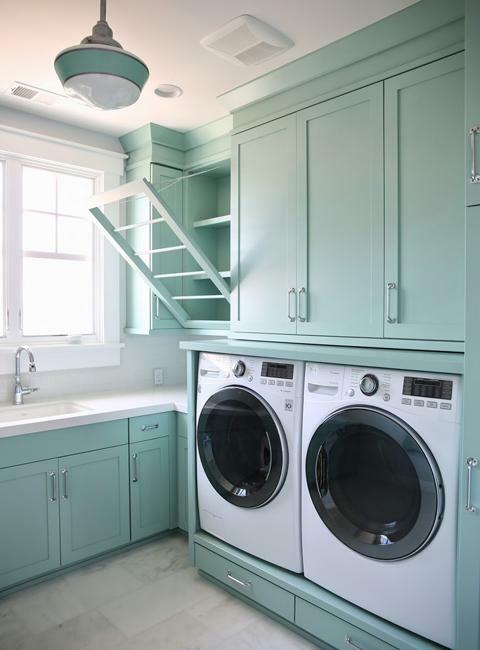 Laundry room design with an old-fashioned handmade racks are eco friendly and money saving. 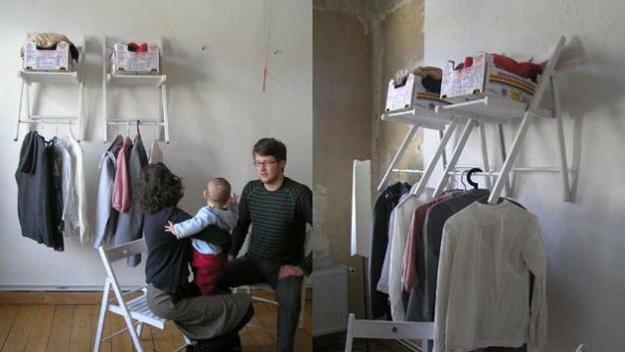 Lushome shares a collection of wonderful clothes drying racks, perfect for space saving laundry room design. Drying racks do not damage clothes. 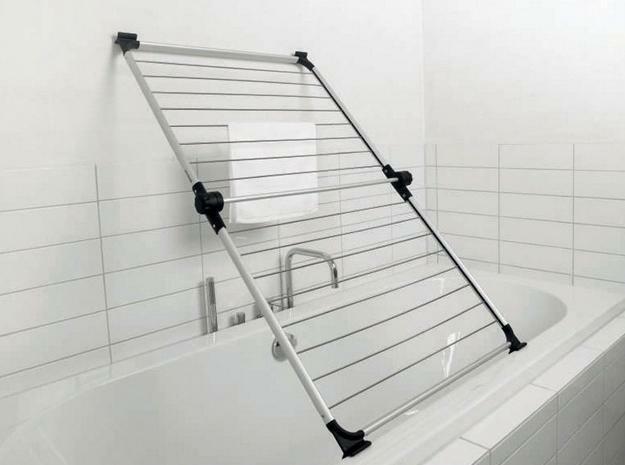 If you invest in the right laundry accessories, you can make the process of drying free without damaging your clothes. Clothes lines and shower curtain rods, folding, flip down and hanging from the ceiling drying racks are great for drying your clothes indoors, maximizing small spaces and creating laundry room design in eco style. 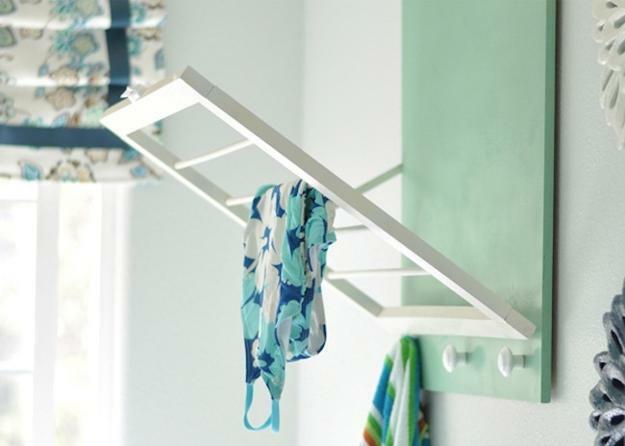 Modern drying racks are made of a sturdy metal frame and include rods that give lots of room to dry several different pieces. 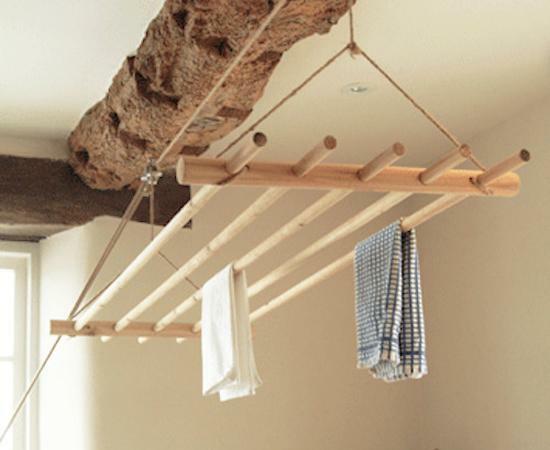 Drying racks in retro styles offer various ideas for handmade racks, or recycling wooden ladders and beams. The size of the rack and durability are the most important considerations. 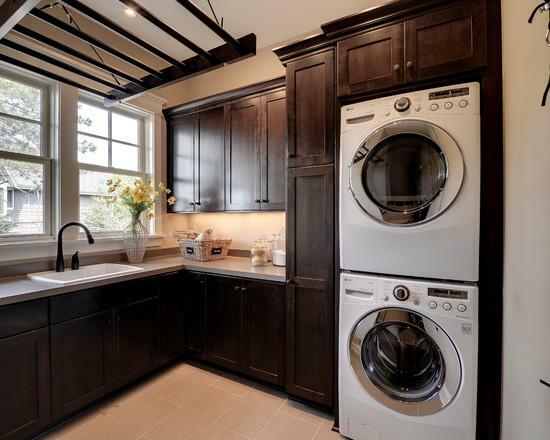 Material, like wood or metal matters also for your laundry room design and decorating. 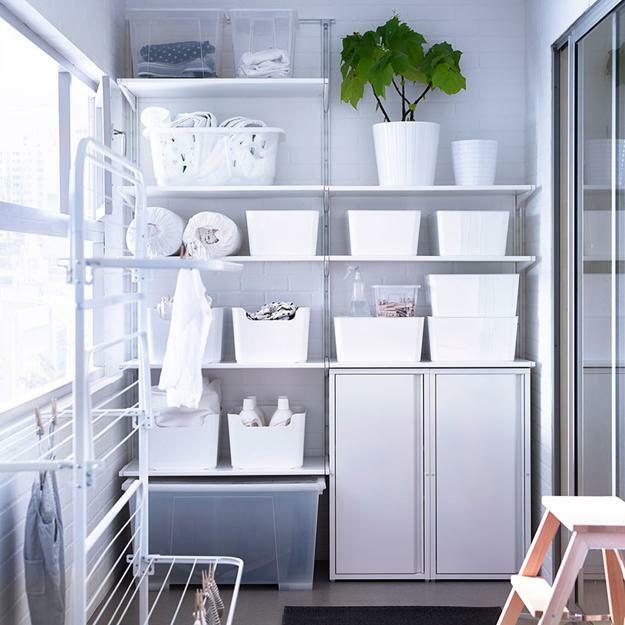 Folding and flip down racks are great space saving ideas for small rooms. 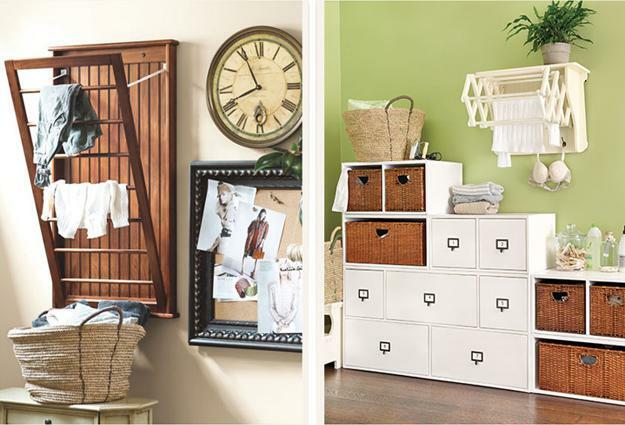 These accessories can be used for laundry room design, in craft rooms or garages. 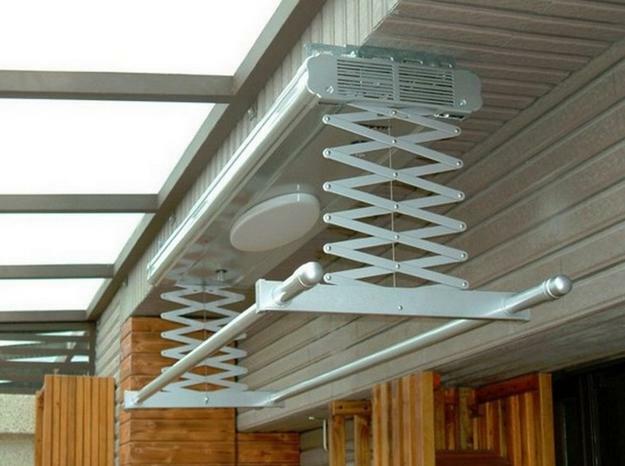 Drying racks are versatile and practical accessories for all indoors. 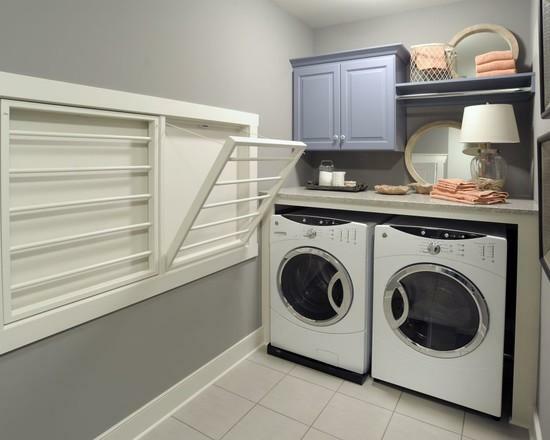 The options for using clothes drying racks are endless, but they are especially convenient for simple laundry room design. 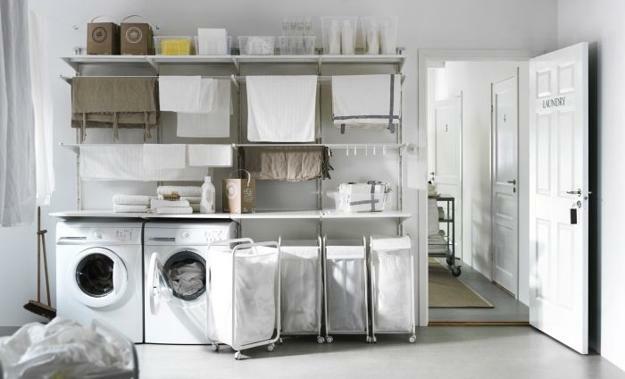 There are several different styles of racks you can choose for eco friendly laundry room design and decorating. A clothes drying rack is a nice item to have. 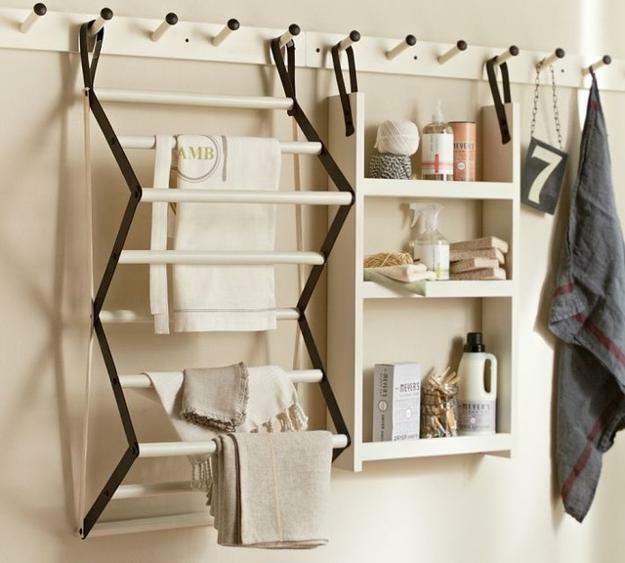 Folding and flip down drying racks are excellent for hanging delicate, denim, linens, towels, curtains, socks and other clothes. 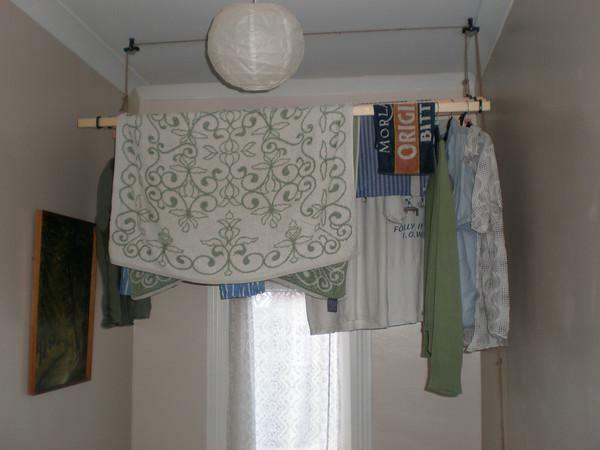 Drape the clothes over the bars while leaving extra room around the rack in order to give the clothes plenty of air circulation. Clothes lines are eco friendly also, but less convenient and practical inside your home. 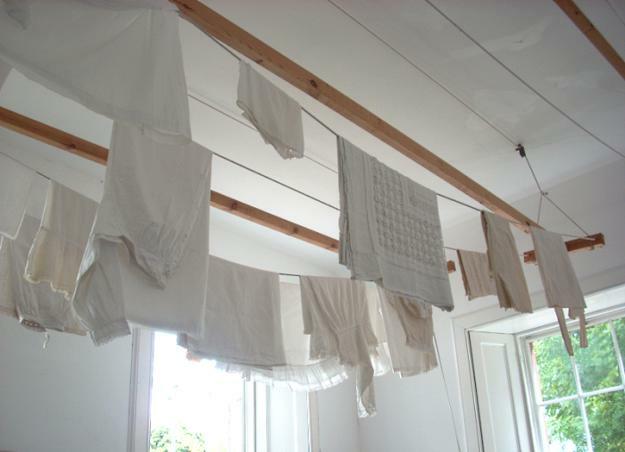 Clothes lines can be used to dry clothes outdoors when the weather is cooperating. 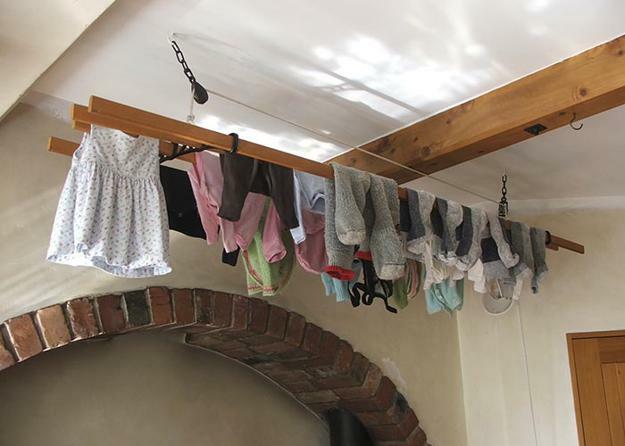 Handmade drying racks are cheap ideas for eco friendly laundry room design. 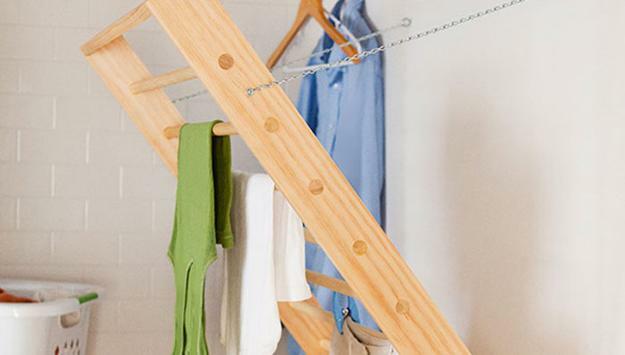 The clothes drying racks made with salvaged wood or to recycle wooden ladder give personality to laundry room decoration and create unique, beautiful and stylish spaces. 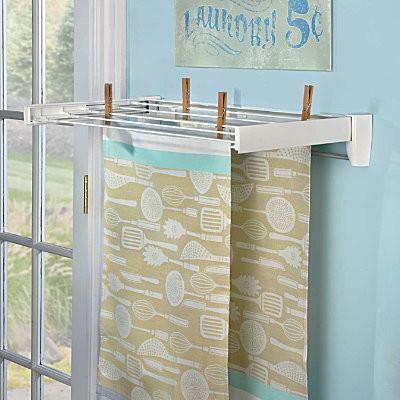 If you want to save some money and protect the environment, retro drying racks are the ideal laundry room ideas. If you want to protect your clothes from damage in electric dryers, the open air drying racks in vintage style or handmade racks can solve the problem. 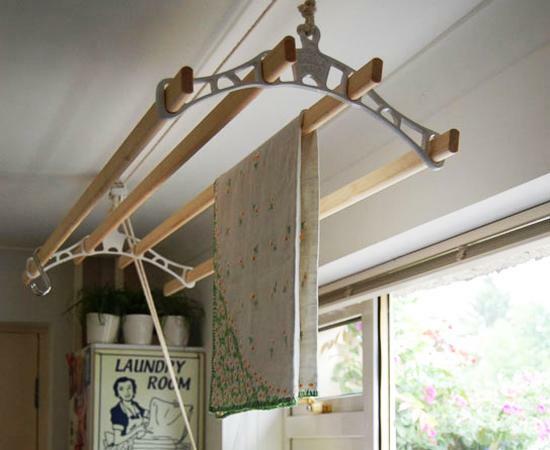 You can save money and avoid replacement costs by recycling and making wooden drying racks that add eco friendly accessories to your home and brighten up your laundry room design.